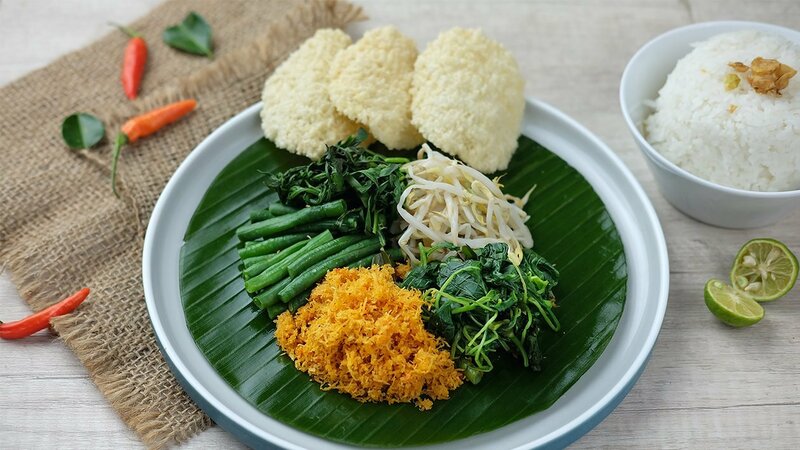 Urap-urap is a traditional salad made with steamed vegetables and grated coconut seasoning that gives it a distinctive flavour. It's both delicious and healthy! Milled all ingredients except grated coconut. Roasted grated coconut until browned. Prepare 500g of vegetables, in any proportion you prefer. Mix the seasoning into the vegetables.